Having been told a while ago that Eddie Chambers was thinking of joining Team Fury, I thought “Astute of him. Where has he been?”. Here was a Heavyweight fighter with a record of W36 L4 who had been beaten last year in his only fight of 2013, after a bad decision to move down to Cruiserweight. Were the gears grinding down on “Fast Eddie’s” career? At 31, and seemingly losing love for the sport, Eddie was squandering the talent he had been given. I had had a conversation with Peter Fury a few months ago after Chambers had been part of the Fury training camp for the, ultimately, disastrous Haye debacle. He was very impressed with Eddie’s skills and attitude. But you don’t need Peter to tell you Eddie can box/fight/win. 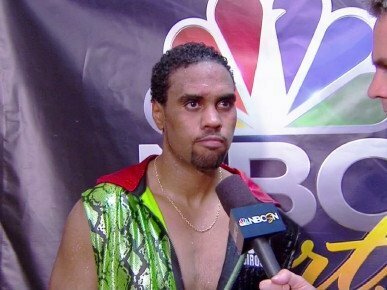 Even a layman can see that Eddie Chambers has been in with the very best the sport has had to offer over the past 6 years: Wladimir Klitschko, Alexander Dimitrenko, Alexander Povetkin, Tomasz Adamek, Samuel Peter. Only Wladimir has narrowly managed to knock Chambers out, and then with just five seconds left of the entire fight. However you look at it, Eddie Chambers has got skills. Now it’s been announced officially that he is firmly a member of Team Fury; he’s back on the track. It’s always easy to dismiss positive talk of a fighters future, especially as mentally, every fighter has to be optimistic and filled with self belief, or they wouldn’t even climb through the ropes. In Eddie’s case it’s not that he was a raw talent which needed nurturing, he just needed the right mechanic to fix whatever problems simply being a boxer brought up. Fix the training camps, the day to day of being a fighter, get the tactics right, and you go into the ring a different man. Get the “mojo” back. This is as positive and upbeat as I’ve ever seen Eddie Chambers. In a time of giants in the Heavyweight division, 6’1″ Eddie Chambers isn’t finished yet with seeing the mighty fallen. This could well be a resurrection of a fighter the sport needs, at a time where the division is starting to kick into life. Fast Eddie rides again; this time with purpose.